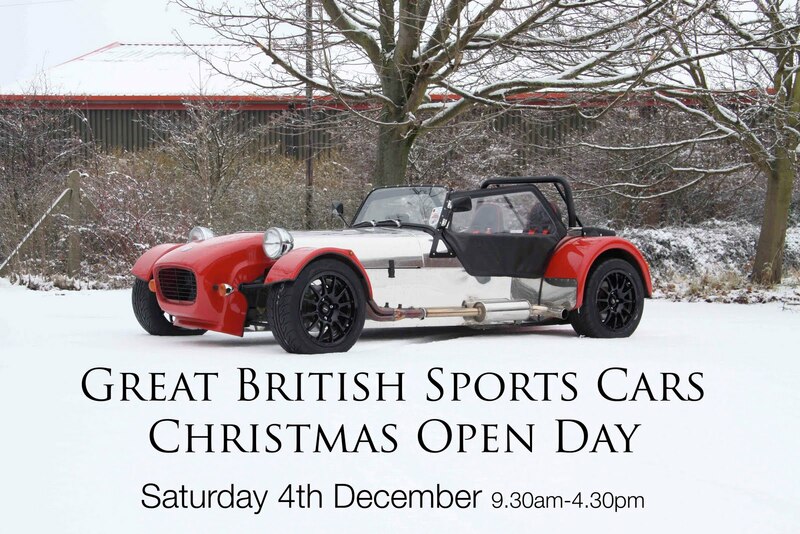 OPEN DAY AT GBS THIS SATURDAY…..
GREAT BRITISH SPORTS CARS are holding a Christmas open day this Saturday ( 4th December) between 9.30am – 4.30pm to say thank you for all your support. Please come and join us for drinks and refreshments and a chat. There has been quite abit of snow in the area, but we have all managed to come into work everyday this week without any problems. So we hope you are all still able to come and join us. For more information and for directions please visit our website www.greatbritishsportscars.co.uk or call 01623 860990.